Nasstar plc (LON: NASA), the provider of hosted managed and cloud computing services, has today provided the following trading update for the financial year ended 31 December 2018. Trading for the year closed out positively with revenues and adjusted EBITDA* expected to be, respectively, slightly ahead of and in line with management expectations. In addition, the Directors are pleased to report that the Group’s net cash at 31 December 2018 was in line with management expectations at £1.5 million. 2018 was the second year of the “Nasstar 10-19” plan and saw further investment in key strategic areas designed to secure future long-term growth, recognise and deliver revenues more quickly, improve efficiencies and retain the Group’s competitive edge in a fast-moving market. As a direct result of this initiative we are now better positioned than ever to deliver on projects of increasing complexity and size and very focussed on developing a sales pipeline of larger deals, as we reported in the 2018 interim results. We were delighted therefore to secure in Q4 our first deal with a law firm in the top 50 of the UK’s Legal 200 list with the winning of a three-year contract to deliver a fully managed public/private hybrid cloud solution. 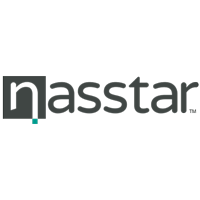 Nasstar plc will deliver a fully managed hosted desktop solution to all 850 users at the law firm over the course of a three-year term. Due to its size and complexity this project is expected to go live towards the end of Q4 2019 and to generate revenues of at least £3.1 million over its term, providing valuable underpinning to current 2020 expectations. Click NASA for the full archive.